Here at amaysim, we're committed to making your life amazingly simple. Whether you’re with us for your mobile, home internet or energy, you can count on us for great-value plans without the hassles - take a look for yourself. 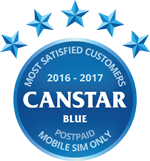 Powered by the Optus 4G Plus Network, our SIM plans make it easy for Aussies to find the perfect plan to match their usage and budget needs. With pay-on-time discounts off usage and supply charges and the convenience of monthly billing, we've taken the hassles out of home energy. Our UNLIMITED mobile plans make choosing a mobile plan simple and all include unlimited standard talk and text Australia - simple pick your data and you're ready to go! With no lock-in contracts and the convenience of monthly billing, we're changing the way Aussies manage their energy services for the better. We used to be a telco, but we’re now so much more. Combining an award-winning mix of no lock-in contracts, amazing value and online-driven customer service, we make it amazingly simple for Aussies to find and manage their household services. Switching providers doesn’t have to be a hassle. In a few quick clicks you can choose a mobile, home internet or energy plan and leave the hard work to us – simple. No one knows your needs better than you do, that’s why we give you the keys to your account, so you can control your amaysim services straight from the palm of your hand. No lock-in contracts means our customers stay because they want to, not because they have to.